Enhance the style of your conference room or boardroom with our wide selection of conference room tables. Conference rooms are perfect for collaborative meeting or training spaces. We carry small conference tables that are three feet long to large conference tables that are eighteen feet long and everything in between. 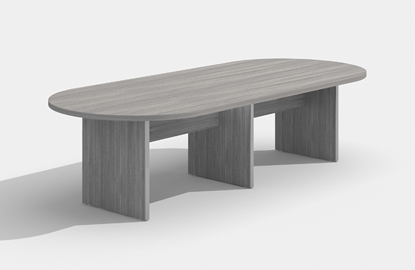 Contemporary laminate meeting table with metal base, designed by world renowned designer Zooey Chu. 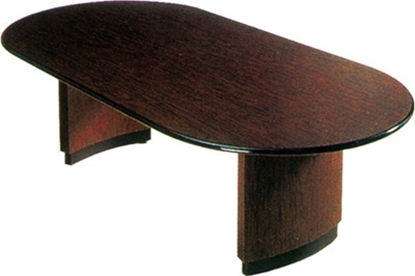 This square table has a very modern look. Its size easily accommodates four people. Perfect for your small conference room or private office. A great solutions to all your office conference needs. This 6' conference table is available in 4 colors and is constructed with thermally fused laminate surfaces and features a 3mm edge banding. This 10 foot racetrack shape conference room table from Offices To Go has superior laminate construction for durability. 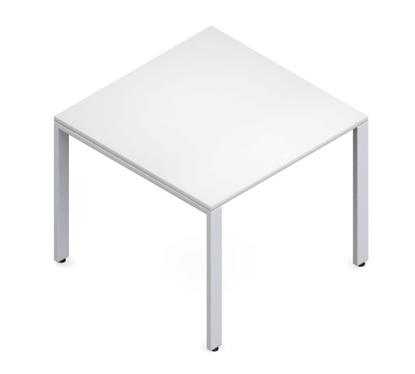 This affordable table features contemporary styling in four colors and a strong durable 3mm PVC "Super Edge". This table will accommodate 8-10 people comfortably with plenty of room for chairs. Order now and get free shipping! 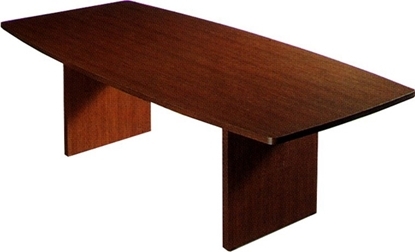 Available in 4 different colors, this conference table makes a great addition to any office. 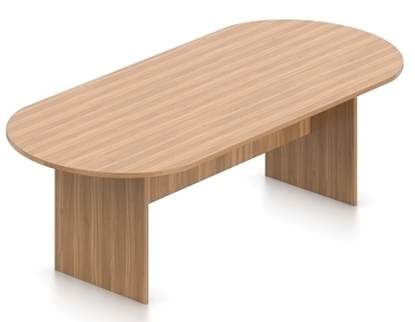 This 8' table features thermally fused laminate surfaces and a 3mm edge banding. Add a small meeting area to anywhere you have a little extra space. This 42"W square conference table in great for setting up a meeting room where space is limited or for adding a meeting area to your private office. 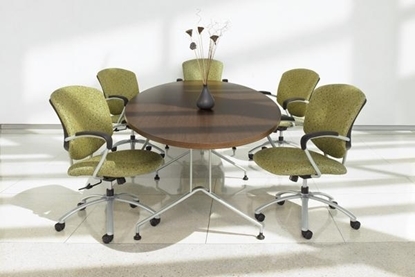 A great addition to any conference room, this 10' table is available in a number of colors to match any office setting. 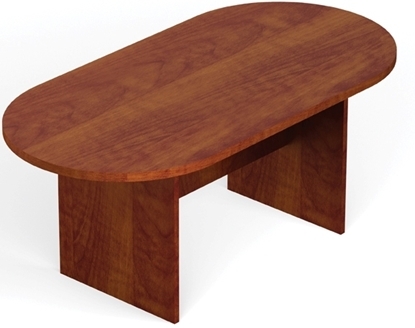 This table features a 1' thick top and can comfortably sit 10 people for meetings of any length. A smart choice for a smaller conference room, the Global Alba racetrack shaped table adds a touch of modern elegance to your room. This 6 foot table seats up to 6 people comfortably in style. Order today for free shipping! This Global 6' racetrack shaped boardroom conference table will accommodate 6 people comfortably. Features a space saving modern shape and a durable edge that resists dings. Green certified and eco friendly. A large 10' conference table to provide plenty of room to hold meetings. 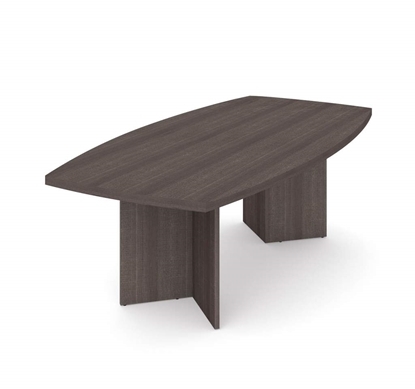 This table is available in 4 colors and is constructed of thermally fused laminate. 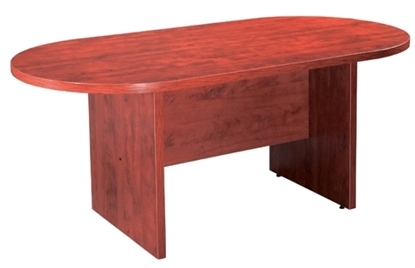 An affordable price on this wood veneer series from Offices To Go. The Ventnor series 6 foot conference room table emphasizes sophisticated styling with the beauty of genuine wood veneer. Seats up to 6 people comfortably. 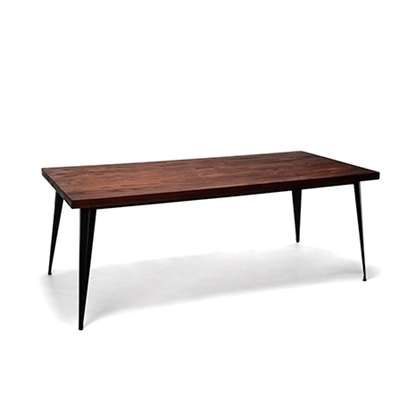 A great addition to any modern office, this conference table combines style with a solid elm wood top and 10 gauge steel legs. 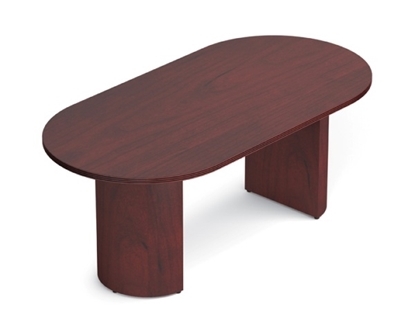 This table also features a 2" thick wood edge and a full steel frame structure and support. 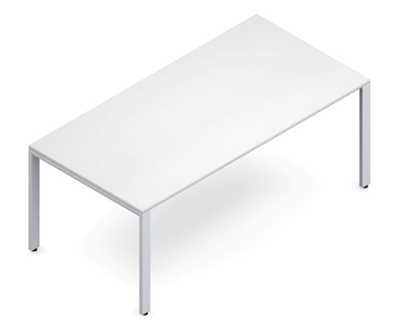 Perfect to complete your office, this 8 foot conference table provides a modern meeting environment at an affordable price. The Bestar 65776 typically seats 6 to 8 people comfortably. This Princeton white office table offers an affordable and modern solution to your boardroom, conference room, or lunch area. 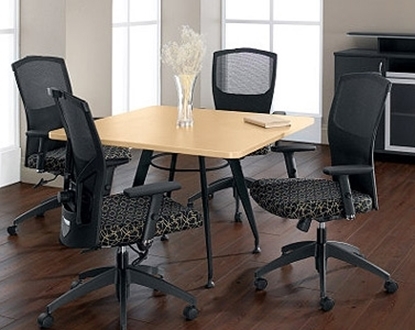 Perfect for informal meetings or in a shared office space. Order today for free shipping!